The 2017 Chevrolet Silverado 1500 performance leads the class in a number of notable categories. Drivers from St. Augustine and Orange Park who rely on their pickup for work, recreation, or travel will love what this model can do. Explore some of the highlights, then make plans to take a test drive at Nimnicht Chevrolet in Jacksonville for a test drive like no other. This engine supplies 285 hp and a best-in-class 305 lb-ft of torque. It can handle tow loads up to 7,600 pounds and get up to 24 mpg highway and 18 mpg city. Power-ratings are boosted to 355 hp and 383 lb-ft of torque with a maximum towing capacity of 11,100 pounds. This powertrain also gets best-in-class fuel-efficiency ratings of 23 mpg highway and 16 mpg city. The strongest engine in the lineup puts out 420 hp and 460 lb-ft of torque and has a best-in-class towing capacity of 12,500 pounds. It also gets 21 mpg city and 15 mpg highway. Features like an off-road suspension, skid plate, Hill Descent Control, and an automatic locking rear differential allow this version of the Silverado 1500 to take on the toughest terrain with confidence. This pickup is equipped with a number of standard and optional features the put the driver in complete control. You can equip a parking camera and parking sensors that make getting in and out of tight spaces easy. Both front tow hooks and a seven-pin wiring harness connector are available to further enhance the utility. 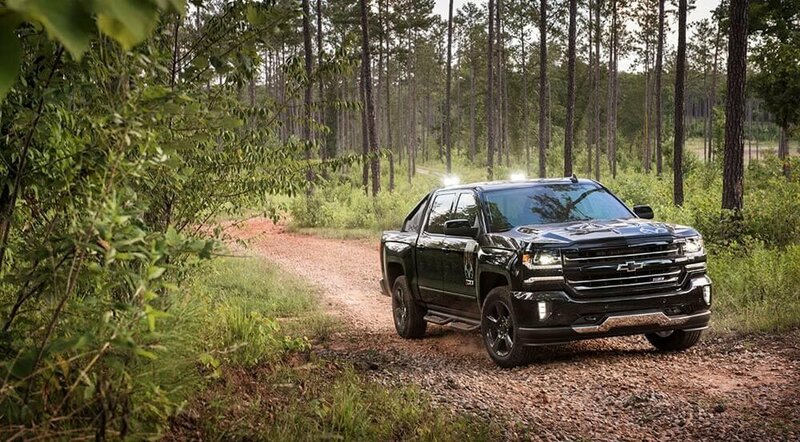 Plus, the Silverado 1500 is protected by available advanced safety features that help drivers to avoid dangers when traveling in the toughest conditions. The 2017 Silverado 1500 is so capable that we invite all pickup drivers in the St. Augustine and Orange Park area to visit our dealership for a test drive. If you’re impressed by our inventory, work with our team for simplified financing. Contact Nimnicht Chevrolet to get answers to all your questions.